I also succumb to magazines at the checkout. Both of these recipes look like real winners. I have to wait in line at the checkout counter blindfolded for fear that I'll buy every magazine on the stand! I do like Real Simple though. Their recipes are always good. The chicken and gratin look perfect for a chilly Sunday. I have so many carrots that need to be used right now...I will definitely be checking out that recipe. They both look absolutely delicious but it is the broccoli dish that makes me want to dive right in! The chicken looks delicious. I have all those ingredients and will make that tomorrow. Thanks for the inspiration! My roast chicken always comes out so pale compared to the gorgeous color of yours! Should I move up the rack? Turn up the heat? Although I'm not a huge carrot fan, they are so incredibly appealing in this dish. How I wish I had lemon and bay laurel trees! Aw ... this looks like one of those dishes that are so packed with many different flavors -- you know, the kind that activate all of your tastebuds at the same time. I don't cook with lemon enough, but this inspires me to cook more with it. Yum! 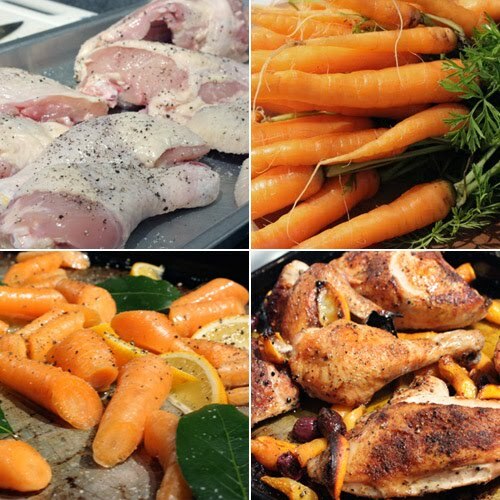 I love the chicken and carrots! It looks perfectly cooked and crispy and it all looks so flavroful! That broccoli looks luscious! Yummy-looking chicken. 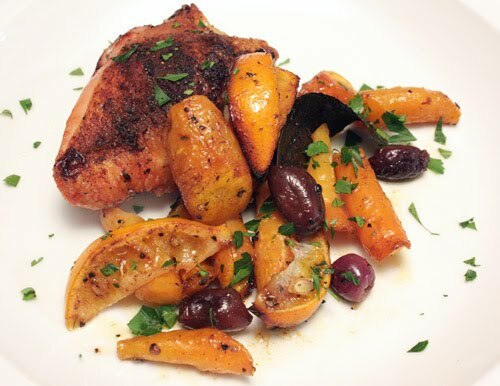 I love olives and lemon with chicken, adds such a piquant flavor to it that is just perfect! I love the addition of olives in there for that extra tang and depth. I wonder if green olives are ok too? Sophia: Yes, I'm sure green olives would be great too! The veggie combo sounds nice. Sweet carrots and salty olives. Really nice. These both look comforting and delicious! 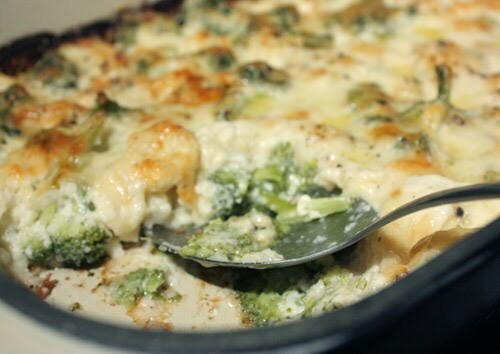 The chicken's so very flavorful and the gratin sounds heavenly. Wow, great meal...roasted chicken with olives and the grating...yummie yummie...both look so tasty, great combo! That roasted chicken looks amazing! 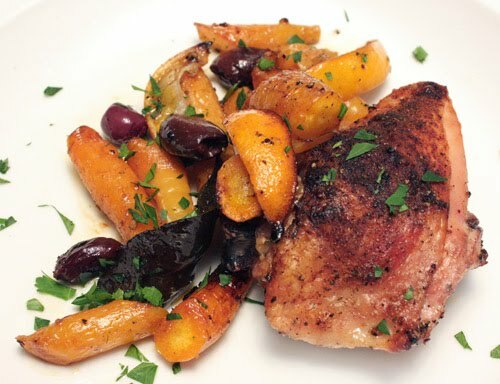 I love anything that uses lemon and chicken and olives, and carrots sound like they add just the right amount of sweet. That is one of my favorite reads as well... this reminds me of something I had from a friend this weekend, and I love those ingredients! Lemon and olives seal the deal for me! Looks amazing. I love anything with olives and lemons a truly Mediterranean affair. Looks pretty good. Thanks for this recipe!